Palate: Delights with truffles, balsamic, spices, and brioche notes. 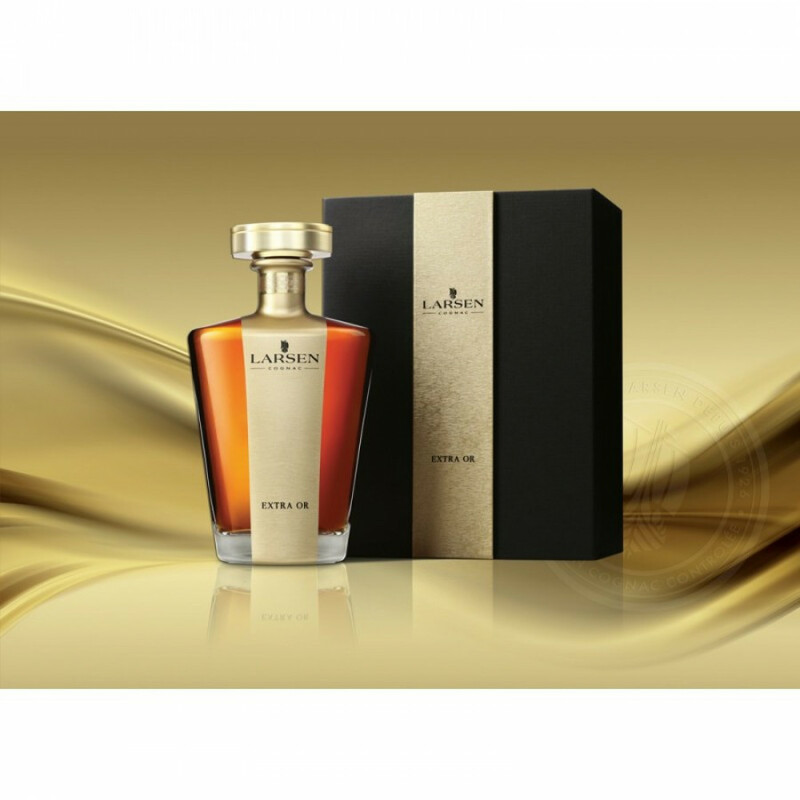 The premium Larsen Extra Or Cognac spent two years in the planning stages as cellar master, Robert Andrieux, and the Larsen team have been adjusting the identity of the brand to further emphasise its heritage. And one thing Larsen are really good at is the blending of older eaux-de-vies to create high-end Cognacs. Extra Or epitimomises the style of Larsen Cognac. Pure, elegant, and truly emphasisng the fruity undertones, this is a delightful Cognac that is a true sensory experience. It will certainly delight the connoisseur, with aromas of coffee and cocoa, followed by a plethora of tastes on the palate - some of which are at the more unusual end of the spectrum, such as balsamic, truffles, and delicate spices.